At A-1 Restaurant Supply, they continually strive to bring you the very best in new and pre-owned commercial food service equipment for your restaurant, cafe, bakery, cafeteria, convenience store, deli, snack bar, school, or institution. Since their beginning, their goal has been to provide quality new and refurbished pre-owned equipment for the bakery and food service industries; and they have succeeded. Today, 21 years later, they have become authorized distributors for all of the major food service equipment manufacturers. At their facility in Providence, RI, they are proud to be the only local company the has ‘in-house’ fabrication department. This can be highly advantageous to any business for making custom parts for any equipment removing the need for you to order parts. For your projects, they offer assistance with design and layout, along with complete set-up and installation. They will also purchase pre-owned equipment, usually on a “trade-in” basis, and quote on “buy-outs,” upon request. They are skilled at refurbishing pre-owned equipment. Their friendly staff and factory-trained technicians are available to help you solve all your equipment service problems. They work quickly, with precision, to minimize your down time and repair expenses. With a fleet stocked with thousands of dollars in parts, they are prepared to get you up and running as quickly and efficiently as possible. A-1 Restaurant Supply is truly your single and most comprehensive source for food service equipment, from design, to removal of existing equipment, to final installation. AAA Restaurant Supply is a Wichita-based family-owned business that has served restaurants and commercial-grade kitchens for over 25 years. They provide equipment and services for both local and national franchises and have built their reputation on quality service. In addition to their commercial services, they also have a showroom open to the public 8:30am to 5pm Monday through Friday. Ability Equipment Sales have been serving Maine and Southern NH since 2004. Some of their valued customers are; Mercy Hospital, H.A. Mapes, Mike's Clam Shack and Forbes Seafood just to mention a few. Since 1980, Able Restaurant Equipment Co. has sold and delivered new and used restaurant equipment to commercial and industrial clients in Nashville, Tennessee, and throughout all of the surrounding areas. Customer satisfaction is their top priority, and they always offer the highest quality equipment around. Whether you’re looking for bar equipment, refrigerators, tableware, ranges or a freezer, they sell a number of new and used equipment at an affordable price. Website Address: Able Restaurant Equipment Co. Founded in 1993, AccuTemp Products Inc. is a unique company, an all-American success story and a great case for the contributions of small, independent, idea-driven foodservice equipment manufacturers. It all began with a few creative solutions to heat transfer challenges, which led to some great product concepts and the development of specialized manufacturing methods and equipment needed to make those concepts a reality. At Ace Mart, we know it's the little things that make a difference, especially when it comes to customer service - our number one priority. We want every one of our customers to know that we put their needs first. This is why the majority of our friendly team is made up of foodservice professionals, who have a critical understanding of the needs and demands of restaurant operators today. Whether you prefer shopping in-store or online, a member of the Ace Mart team is waiting to assist you. In 1973, ACityDiscount started with the idea of rehabbing used equipment for the food service industry in the Atlanta area. Over 40 years later, they've upped our game! They work with the top names in restaurant equipment to provide their customers a large variety of options at great prices. They offer a wide variety of items; from standard items found in every commercial kitchen to specialty items, custom fabrication and design of many elements from ventilation hoods to seating, and readily stocked smallwares. They continue to carry a large assortment of used and scratch & dent inventory. They've moved from their original location in South Atlanta to a large facility in northern Metro Atlanta where they can offer same day purchase and pickup of thousands of items. Their large showroom offers their customers the chance to see the larger pieces of equipment, stock up on essentials, and speak with expert restaurant equipment specialists. Their goal is to make sure every customer finds exactly what they need to grow their food service establishment. They have an incredible range of dedicated, knowledgeable and enthusiastic people that all work to make sure ACityDiscount lives up to its promise of helping our customers find the right equipment to meet their needs. ACP, Inc. manufactures and distributes commercial high speed combination ovens and microwaves under the Amana® Commercial and Menumaster® Commercial brands, two of the most recognized and respected brands in the foodservice industry. Their headquarters and manufacturing facility is in the heartland of the United States, yet their reach is global through our international distribution and their affiliation as part of The Ali Group of Foodservice Equipment Companies. In business since 1952, Admiral Craft Equipment Corp. (Adcraft) has grown to be a leading manufacturer of equipment, utensils, and supplies to the food service industry. Offering in excess of 2,000 quality products, our goal is to provide superior customer service, prompt shipment, an exceptional fill rate while offering very competitive pricing. We believe that our continued growth is a testament that we have continued to be successful in meeting these goals. Advanced Restaurant Supply is located in the beautiful Flathead Valley of Northwest Montana. With Glacier National Park to the north, the Rocky Mountains to the east, and Flathead Lake to the south; adventure is truly just out their back door. They are a locally owned and operated business that was founded in 1994. They give their customers an affordable option for restaurant equipment, supplies, service, and technical support. Being a proud member of Excell Marketing gives them increased buying strength, exceptional marketing support, and educational training to better serve you. They conduct their affairs in a uniformly ethical manner that shows respect for their customers, employees, the environment, and the communities in which they do business. Website Address: Advanced Restaurant Supply, Inc.
Advance Tabco is the leader in the manufacturing of stainless steel equipment across many product lines. We have over 6,000 different products in our catalog, and we have the ability to customize just about every one of them. In addition, most of our product lines are offered at different price points, to ensure that we have a solution for every project, at every budget. Since 1946, Aero has been one of the leading manufacturers of stainless steel sinks, tables, dishtables, cabinets, shelving, and custom fabrication. Aero is headquartered in a 150,000 square foot facility on a 5-½ acre campus in Clifton, NJ. Aero stocks thousands of standard products for immediate shipment. Aero offers the fastest lead times at the most competitive rates in the industry due to the addition of the latest manufacturing technology. The AIMCO Equipment Company offers the largest inventory in Arkansas of new and used commercial kitchen equipment, smallwares, furniture, coffee supplies, and a full line of disposables. They understand that when you’re shopping around you want both dependability and affordability and that is precisely what they strive to provide. They have been in business since 1972 and occupy 60,000 square feet of space in showrooms and offices at their 10001 Colonel Glenn Road, Little Rock location. With well over 100 years of combined experience, Their solutions oriented staff of 30 foodservice professionals will work with you from concept to completion to bring your visions and ideas to life. They have the inventory in stock that allows you to literally bring your menu and a rental truck and leave ready to open. Let us help you create that, “One of a Kind, One Stop Shop Experience” for everyone from Mom and Pop’s to Multi-Unit Chains. Alaska Restaurant Supply is a full service dealer, stocking all major brands and models. Alaska Restaurant Supply also features professional and prompt planning and design, fully licensed installation, and of course, a courteous and experienced sales staff to assist you with all of your equipment needs. Their Vision: Is to be a fast growing, family oriented, dynamic food service distribution company that leads the industry. Their Mission: Is to pursue excellence in the food service industry by partnering with our customers and vendors to ensure our mutual growth and success. Their Values: Integrity, Work Ethic, Growth/Opportunity, Family Oriented, Resourceful, Safety. Aleco® is a division of ES Robbins Corporation, an industry leader in polymer and plastics manufacturing. Along with industrial and food service workplace solutions, ES Robbins manufactures office products, such as chairmats and carpet protectors, and equine fencing. ES Robbins has been making products that make life easier and safer for thousands of customers for over forty years. Founded in 1977, Aleco® is one of the largest manufacturers of flexible doors, strips, and partitions in the United States. Additional products are impact doors, traffic doors, pan rack covers, and air curtains. Category innovations include, MaxBullet® hardware, a strip door mounting system that significantly reduces labor and time costs, and Scratch-Guard®, a super scratch and static resistant stripping. Aleco® products are available throughout the United States and Canada at over two thousand dealer locations. Alida Restaurant Supply & Seating Company is the one-stop shop for any and all of your restaurant equipment and commercial hospitality furniture needs. With over 5,000 items in their inventory ranging from kitchenware and industrial restaurant equipment, to custom booths and seating, they guarantee to have everything you will need to get your restaurant up and running. As a family-owned company, they are committed to surpass the expectations of their clients by providing both professional service and the most competitive pricing for products of the highest quality and durability in the market today. They pride themselves in the relationships they form with their clients, and invite you to join the Alida family too. Since 1968 Aladdin’s customer-driven innovations have led healthcare foodservice to new heights of quality, efficiency, safety and patient satisfaction. Our breakthrough technologies make meal delivery more efficient for foodservice operations, and mealtime more enjoyable for everyone. When Aladdin invented the insulated tray in 1968, the dream of keeping patient meals at the proper temperature became a reality. Even today, Aladdin insulated tray systems remain an option for traditional food service applications. In 1978 Aladdin introduced Temp-Rite® II, the first rethermalization system designed to heat meals in a refrigerated environment. In 1988, after extensive research and development, Aladdin created Temp-Rite® II Excel, a radically new conduction system that features a round-dish meal service. In 2003 Aladdin’s continued focus on listening to customers led to the development of Convect-Rite III®, an advanced Cook-Chill convection system that enabled precision rethermalization of hot foods while cold foods remained chilled, all on the same tray. Now Convect-Rite III® is the most popular cook-chill system. Aladdin revolutionized meal assembly tray lines in 1995 with our patented Heat On Demand® induction technology, and in 2004 applied this technology to the creation of Heat On Demand® On Tray™, the first meal delivery system with the heat source built into the tray. Today, Heat On Demand® offers a number of induction systems for room service applications. Allied Technologies Food Equipment, Inc. was established in 1980 and is a manufacturers agent & distributor for commercial food service equipment for the states of Indiana, Kentucky, Michigan, Ohio and West Virginia. By concentrating our efforts in these states, we are able to provide that level of service and attention which is vital in establishing & maintaining personal relationships with our clients. of quality replacement parts, supplies and accessories for the commercial foodservice industry. Our low prices and excellent value are complimented by our huge inventory and same day shipping. Located in Pawtucket, Rhode Island, Allstate Restaurant Equipment, Inc. provides our customers with the best commercial restaurant equipment, supplies, and smallwares possible. Their prices are fair and their quality is exceptional. They understand the issues associated with keeping your kitchen operating at peak efficiency. You can tell by their brand listing that they sell and service most of the major brands found in today's commercial kitchens. ALPHA Restaurant Equipment & Supplies, Inc., has been meeting the needs of New England's food service community with outstanding service for over 25 years, and they are considered one of Massachusetts' most trusted, and loyal restaurant equipment dealers. Whether it's for the corner luncheonette, the hometown pizza shop, the local bar and grill, the local fish/meat market, or the fully functional institutional or home kitchen, ALPHA has the proven expertise to help you select the right food service equipment to fit your project and your budget. Here at American Creative Solutions, we pride ourselves as a top notch foodservice equipment manufacturer. While great care and detail goes into all of our products, our main focus and dedication is directed at custom fabrication. We take the vision of designers and owners and provide them with the highest quality finished product. We would appreciate the opportunity to help with all of your food service needs from single pieces to highly custom designer jobs. American Creative Solutions has the ability to create fabricated finished counters and can provide the following, but not limited to, serving lines, chefs counters, food courts, salad bars, work tables, hot/cold combo pans, refrigerated pans, refrigerated storage, under counter refrigeration and even refrigerated counters. Come to us with any of your fabrication needs. As a company, American Creative Solutions strives to create an excellent product that is created around your specific needs. We are a modern company with comprehensive knowledge of today’s foodservice industry. With our broad base of capabilities we guarantee that we will deliver on the expectations of our clients to create a successful project. From its basic design, ADS has expanded its line to include double tanks, undercounters, glasswashers, conveyors, high temp, tables, water softeners, and low level alarms. We continue to strive to update our products to continue the concept of ease of service and dependability and to keep up with our industry. The best in new designs come from our loyal customer base, the guy in the field, who works with our equipment on a daily basis. They offer complete restaurant equipment services from customized stainless steel prep tables to large scale cooking suites and everything in between. When you are ready to upgrade your kitchens or install a new service line for your wait staff, they are the company to call in Hawaii. Take a look at their products page to find out more about the kind of equipment and supplies they stock. At AMSCO they pride themselves in providing exceptional service and the partnerships they form with their customers. Anderson Dahlen is a leading provider of full service process systems integration for food processing equipment. We are proud to ensure world-class engineering, design and equipment. Our Custom Process Equipment and Systems Division delivers specified solutions for your food handling equipment needs. Our expertise in Packaged Liquid Process Systems, Process Equipment, and Process Automation Solutions is utilized by food manufacturers world-wide who specialize in the manufacturing of products such as soups, sauces, dressings, meats, dairy products, and a variety of other food and beverage items. Andrus Sales and Service is a family-owned and operated business in its second generation of operation. Max H. Andrus started the business in 1964. He had previously worked as a restaurant service technician for a large restaurant equipment company. Then, like so many of our customers, he had an entrepreneurial desire to start his own company. The company was service oriented in the first years of operation. While servicing equipment for customers the availability of used equipment and the need of equipment was a natural growth opportunity for the company. Max Andrus constructed a new building to make room to take in equipment recondition it and offer it to customers. The continuing goal of Andrus Sales and Service is offer quality reconditioned equipment to our customers. The company moved two more times due to growth until we are in our present location on 900 South. In 1992 Steve Andrus joined the company, bringing with him his CPA background and desire to see the company continue to grow. Steve Andrus is the current owner.The desire and drive of the company was founded on the principles of quality equipment and excellent service, Andrus Sales and Service consistently offers quality reconditioned equipment, service, financing options, new equipment and support to our customer base. They do this in a timely professional manner that has made it possible for them to continue in business for over forty years. Since 1968, Bar Store Restaurant Design & Supplies, an employee owned corporation, has been providing professional services in the foodservice industry with offices throughout southern Idaho. We take careful consideration to provide expert solutions for your specific needs. They provide a variety of New and Used commerical restaurant equipment and supplies. Their Used Equipment is first-come first-serve cash only basis with a 30 day money back guarantee. Their New Equipment specials and Supplies comes from specifically chosen manufacturers so they can offer you the highest quality items at a low price specializing in commercial refrigeration. Baxter is a leading equipment supplier to a growing number of major institutions, schools, grocery stores, hospitals, assisted-care facilities, hotels, restaurants, resorts, correctional facilities and military locations. You'll find Baxter products in small independent bakeries as well as facilities with multiple ovens for bulk processing. Our equipment is used for a multitude of applications including bread and confectionery baking, roasting meat and poultry, and reheating batch-cooked and frozen meals. Bettcher Industries, Inc. was originally founded in 1944 by Louis A. Bettcher under the name of Bettcher Dieweld Company. Mr. Bettcher started his Company with a capital investment of $800 in a small machine shop in the old meat district of Cleveland, Ohio. Local meat companies such as Swift and Company found it nearly impossible during the war to purchase new equipment. These plants called on Bettcher Dieweld to keep their old machinery running by repairing what was impossible to replace. This exposure to the machinery needs of meat producers stimulated Mr. Bettcher’s fertile imagination, resulting in the invention of numerous machines and systems. One of the first was the Bettcher Carcass Splitter, the first efficient band saw splitter ever manufactured. Today, some 50 years later, many of the original Bettcher Carcass Splitters are still in use and the concept is a standard splitting approach worldwide. At Burkett Restaurant Equipment & Supplies they specialize in providing commercial equipment and supplies, tools, and resources you need to operate your foodservice establishment successfully. They carry commercial equipment and restaurant supplies from the most trusted brands in the foodservice industry. Burkett strives to provide the best experience to all of their customers, commercial and individual alike. Whether you order online, on the phone, or in their huge restaurant equipment showroom you will get access to their trained and certified staff. From replacing an appliance, to designing and opening a new location, we have the right equipment, the right restaurant supplies, and the right people to help you. Our business started out by creating a one-of-a-kind reconditioning process for all of our used restaurant equipment. We have been refining our commercial equipment reconditioning process since they started selling used restaurant equipment in 1977. That places us on the cutting edge of restaurant equipment reconditioning, and makes us a leader in the industry. They are one of the largest and most reputable dealers of pre-owned restaurant equipment, and provide unmatched service for all their customers. Burkett Restaurant Equipment has collected a number of awards such as the Inc. 5000 Fastest Growing Private Companies award for four years, the Ernst and Young Entrepreneur Semi-Finalist, and the University of Toledo Entrepreneurial Business of Excellence Hall of Fame award. Burkett is a BBB Accredited Business, a Google Trusted Store, and is your leading restaurant supply company for all things foodservice related. Physical Address: 28740 Glenwood Rd. C. Caprara Food Service Equipment is a commercial food service equipment dealer serving clients for the past 38 years. They are a Maine based company serving New England and beyond. They pride ourselves on providing the highest quality products to their customers in a timely manner. This commitment comes from professional,personal service and expertise of their entire staff. Calico Industries, Inc. is a family-owned and operated business founded in 1923. They take pride in offering a wide selection of quality food service equipment, workplace safety and janitorial supplies to their customers nationwide at everyday low prices. Capital City Restaurant Supply has been in business since 1971. We take pride in selling quality restaurant equipment, dinnerware, smallwares and furniture. Capital City Restaurant Supply is a proud member of the Excell Marketing and Procurement buying group. Let Capital City Restaurant Supply take care of your restaurant and home kitchen needs today! Cayard's is a full service restaurant equipment and kitchen equipment dealer handling large equipment as well as a large inventory of smallwares for the foodservice industry. Their customers are full service restaurants, fast food restaurants, hotels, schools, prisons, and cafeterias. They were the first kitchen equipment company in Baton Rouge. They have their own service technicians on staff as well as restaurant equipment installers and sheet metal shop. One of their growing specialty departments is custom kitchen hood fabrication and installation. They install exhaust systems all over the states of Louisiana and Mississippi. Their facilities include over 40,000 square feet of warehouse, showroom, and shop areas with a large selection of used restaurant equipment items. Since 1981, their more than 250,000 customers have come to know Central as their chosen provider to find virtually anything needed for the foodservice industry. They are committed to delivering you expert solutions with the personal attention you deserve. At Central Restaurant Products, their people are their greatest asset. They employ the industry's best and most knowledgeable professionals who are dedicated to providing the personal attention you deserve. Chef Link is a group of individuals who have been lucky enough to come together as a team. As different as they all are, they have a shared value structure based on exceptional delivery and customer service. Whomever you catch on the phone will draw you in, work with you to solve your problems (from what size ladle to buy to where you might have left your car last night), and make sure you get what you need, when you need it. Chef Link is a team that is greater than the sum of its parts. They are a family orientated, fun loving business that puts their customers at the heart of everything they do. They believe in doing things right the first time, every time and they are committed to you being delighted by every experience you have with them. So give them a try, join the family, and you will be left with a new faith in their industry. From large pieces of equipment, such as pizza ovens, heavy duty ranges, mixers, and heated steam tables, to the smallest of smallwares such as tongs, liquor pourers, fry pans, knives, cutting boards, wine corkers, and votives, Classic restaurant supply has you covered. Classic has been helping customers find what they need since 1999, and will continue to do so for decades to come. Their key is to provide an amazing product, at an amazing price, with amazing service. We are a whole sale warehouse, with a retail style service. Whether you run a restaurant, bar, hotel, concession stand, or packed school cafeteria, Commercial Kitchen Products has the equipment and supplies you need for success. As Rapid City's only provider of in stock new and used restaurant supplies and equipment, they are able to provide their customers with the tools they need for there busy establishment quickly and with excellent customer service during and after the sale. They invite everybody to go and have a look at their retail location on Deadwood Avenue in Rapid City. Their Staff will show you why you should choose Commercial Kitchen Products for all of your supply and equipment needs through the highest level of customer service and the quality in stock products they provide. Physical Address: 322 Canal St.
Culinex are Designers of premier foodservice applications. Combining the needs of our clients with construction elements through insight and experience. They specialize in sourcing, supply and distribution of foodservice equipment and supplies. Since 1946, Curtis Restaurant Supply has provided superior products and services to foodservice professionals from independently owned and national chain restaurants, to hospitals, casinos, churches, schools, non-profit, military and healthcare facilities. Their mission is to provide personal, attentive assistance in all areas of service and consistently exceed your expectations. Company owner, Jay Gulick, is in the office each day to assist with any special needs or requests. Dine Company – The Restaurant Store is a family-owned and operated business which has served the Kentuckiana region since 1982. They moved to their current location in 1999 and, after an expansion in 2004, now operate as the region’s largest restaurant supply store with 30,000 square feet of new and used equipment, smallwares, and supplies – all at wholesale prices. They also sell new and used restaurant equipment and supplies nationwide through our online store. They offer customized restaurant and kitchen design services for all foodservice segments in restaurants, schools, churches, healthcare facilities, nonprofit organizations, and the hospitality industry. Their comprehensive services include professional AutoCAD drawings with detailed electrical, plumbing and ventilation systems specifications as required by architects and contractors. Dine Company project management assists their customers in making the best, most efficient decisions to achieve their customer’s vision and goals. They also offer professional delivery and installation on everything they sell. Ducote's Restaurant Equipment is a family-owned business that has been supplying the restaurant industry since 1971. They are open to the public, but specialize in commercial cooking equipment, refrigeration, and supplies for the food service industry. Duke Manufacturing is a global food service equipment pioneer that’s been delivering profitable and innovative solutions for the food industry 95 years. Founded in 1925 by M.P. Duke, they were the first manufacturer of the waterless hot well. Today, Duke Manufacturing has over twenty product lines with over 4,500 SKUs. They operate two manufacturing plants in St. Louis and Sedalia, Missouri. Their state-of-the-art Sedalia plant is 680,000 square feet and ISO certified. Duke has global sales, service and distribution facilities in Europe, Latin America and Asia. Physical Address: 2224 N. Tenth St.
At FEMC, they design all three of these key elements into each and every system they build at their world headquarters in Cleveland, OH. Their unique consultative approach enables a deep level of project understanding and cooperation which creates a powerful synergy between FEMC and their clients. Their highly skilled engineers and product development representatives are exploding with energy, ideas, and an eagerness to cultivate a personal relationship with the companies they serve. They know what it takes to build highly efficient automation systems that can be counted on to run for decades to come! Thanks to their 80,000 square-foot showroom with over $2 million worth of merchandise, they’re one of the top choices when it comes to new and used restaurant equipment. Upstate South Carolina restaurant owners and chefs know that choosing Food Equipment Company means that you will get what you need, when you need it at a great price. They offer a variety of appliances and supplies including refrigerators, freezers, ice machines, shelving, fryers, fine china, silverware, janitorial supplies, staff outfits, concession supplies, countertop cooking equipment, pots, pans, cutlery, furniture and much more. As “The Professional’s Choice” for restaurant equipment, furniture, and supplies, they make it a top priority to build relationships with their customers. That is why they offer a variety of sales in their warehouse and website every month. Foodservice Equipment Brokers has been providing the best service and the largest selection of in-stock new and used restaurant equipment to the Northwest Arkansas and Southwest Missouri area since 1993. We have over 60 years combined experience in the food service business. Grover Brothers Restaurant Equipment, Inc.
With Locations in New Orleans, LA, and Hattiesburg, MS, Grover Brothers Equipment Co. is a family owned and operated business that began in 1974. They have been serving Mississippi, Louisiana and Alabama for over 30 years providing commercial restaurant equipment and supplies. They have worked extensively over the years providing quality equipment and small wares to restaurants, convenient stores, schools, hospitals, churches, caterers, nursing homes, and more. They specialize in the design and layout of restaurants and convenient stores. Grover Brothers will deliver, install, service and happily provide training on any equipment purchased. Grover Brothers recently added a new line of cleaning supplies and chemicals, and provide dishwasher rentals to further help you operate your business. They take pride in providing their customers with the most current, up-to-date new and used equipment available. Grover Brothers is your one stop shop for commercial restaurant equipment in South Louisiana and Mississippi. Website Address: Grover Brothers Restaurant Equipment, Inc.
HiTech Commercial Service was established in 1997. Corporate Officer, Michele Curran has over 33 years experience in Business Operations/Management. She was named the 1999 Small Business Person of the Year for the state of Nevada and 1995 Small Business Person of the Year for the City of North Las Vegas. In addition to HiTech she owns Unique Enterprises Inc. which manufacturers coin & currency handling supplies. ​The Nevada market is truly unique when compared to other major cities in the U.S. Nevada restaurants are open and operating 24-7-365, and need their service agency to be as well. They require their choice of vendor be able to meet their service or parts requirements promptly by having highly-trained staff, well-stocked service vehicles and a substantial parts inventory in our local warehouse for immediate availability. They provide personal customer services never offered in this market. We deliver parts at no charge and with no minimum purchase requirement to hotels/casinos and restaurants wanting to make their own repairs. We offer free pick-up and re-delivery of equipment needing in shop repairs. HM Restaurant Equipment Company (HMRECO) is your leading source for quality restaurant equipment and supplies. They believe that only 3 things separate you from your ideal establishment: outstanding value, exceptional quality, and extraordinary customer service. At HMRECO, their experienced and knowledgeable team is dedicated to meeting your needs from start to finish, so that you can feel confident and secure regarding your restaurant business future! For more than 100 years, Hobart has supported the food equipment and service needs for the foodservice and food retail industries. Hobart manufactures products for the foodservice and food retail industry, including cooking, food preparation, warewashers and waste handling, weigh wrap, Baxter baking and Traulsen refrigeration. Hobart equipment is supported by a national network of factory-trained service representatives in hundreds of locations across the United States. Physical Address: 701 S. Ridge Ave.
Hotel & Restaurant Supply has been in continuous business since 1953, supplying commercial foodservice equipment, related supplies (china, glass, flatware, tops for tables, kitchen and janitorial), and contract furniture. Their customers are independent restaurants, restaurant chains, bars, hotels, hospitals, casinos, nursing homes, retirement centers, commercial stores, deli’s, country clubs, private clubs, schools, correctional facilities, churches and more. Food processing equipment and machinery from Hughes Equipment Company is engineered and manufactured to provide optimal performance. Hughes has a broad range of food processing machinery including huskers, blanchers, cleaners, coolers, conveyors, cutters, fillers, meters, snippers and fresh market equipment. Website Address: Hughes Equipment Co.
Hy-Point Equipment located in tax-free Wilmington, DE is a leading retailer of new and used restaurant equipment, supplies, commercial parts and accessories since 1976. They feature high quality, name brand equipment from leading restaurant equipment manufacturers at low, everyday discount prices. Along with their reputation of honest and competitive pricing, you will find Hy-Point sales staff to be an invaluable source of information. It doesn’t matter if you are spending $100 or $1,000,000 they value every customer and treat them with equal respect. The products they sell can be purchased anywhere, but not everyone can tell you whether you need them or not. They will help you select ones that work best for your unique situation and how to put them into service in the most effective and efficient fashion. Family-owned and operated in Madisonville since 1973. Brothers and partners in Arctic Refrigeration, Bruce and Terry Spencer co-founded the business in 1973. Both brothers worked for a heating and air conditioning company in Rockford, Ill., before moving to Madisonville to establish the business. Bruce opened the business in June 1973 on 34 S. Church Street in Madisonville, and Terry joined him one year later. At that time, the business handled three major areas — residential heating and air conditioning, commercial heating and air conditioning, and equipment rentals. In 1977, business was booming and the brothers expanded to a new location on Spring Street. In the early days of the business, the Spencer brothers rented and serviced items such as walk-in refrigerators, meat-slicers, and ice machines. In 1995, they decided to expand on that line of the business and sell the heating and air division to David Wells, who had been working with the business since 1990. In 2000, long-time employee Jeff McKnight, became an equal partner in the company with the Spencer brothers. Since 1995, Arctic has been solely focused on the sales and service of food service equipment. In 2008, Terry and Bruce decided to take a step back from the company to focus more on family and their second business, Spencer Brothers Storage. Terry’s son, Aaron returned home after living in Lexington to join McKnight in over-seeing the day-to-day operations. With McKnight’s primary focus on service, Aaron turned his attention to marketing and growth. He realized that in order for the business to continue its prosperous history, the company needed to rebrand. Over the years, Arctic had grown to be a leader in food service and equipment, and the Arctic name no longer reflected the true scope of the business. In 2014, Arctic established Kentucky Restaurant Supply as the new name for its food service and equipment division. Newly located at 1520 Island Ford Road, Kentucky Restaurant Supply has an impressive showroom and large warehouse of new and used equipment onsite. Under the direction of McKnight and Spencer, the company is growing to meet the ever-changing needs of the industry. Much of their larger inventory is pictured online, but many more items are available. Please be sure to contact us with specific requests. We will happily help you find new or used items to fit your needs. Knapp Supply & Equipment Company is a division of Bargreen & Ellingson, servicing Wyoming since January 1947. They offer a complete line of bar, restaurant, janitorial equipment and supplies. They have something for everyone - including the kitchen sink. They are open to the public. With over 60 years of experience, Lakeside Manufacturing, Inc offers a diverse product line that transports, stores, heats, cools, serves, dispenses, organizes, displays and merchandises. To meet the dynamic aspect of the industries we serve, Lakeside is continually engineering new products and updating existing products to stay in tune with industry trends and their customers’ unique needs. As a quality-driven manufacturer, they produce their products in the USA. With a state-of-the-art facility, they utilize safe manufacturing processes and continually work towards reducing our global footprint. Website Address: Lakeside Manufacturing, Inc.
Not only do they carry a full line of quality equipment for all your restaurant needs, but they can help you choose which items will best serve your needs. From elegant china to sectional ranges, they can supply it. Website Address: Louisiana Food Service Equipment, Inc.
For over 60 years, Maxwell Food Equipment, Inc. has been not only South Dakota’s but the region’s premier supplier of restaurant equipment and kitchen supplies. At the Maxwell wholesale warehouse, you’ll find a massive inventory to shop for professional and industrial-grade kitchen equipment. They are dedicated to keeping up with the latest equipment trends, while always providing personalized, old-fashioned customer care. In addition to their huge selection, their attentive, knowledgeable, friendly staff and superior customer care are what sets them apart! Get a new or refurbished commercial range and oven for your restaurant or catering business. Whether you're looking for large or small capacity, we'll help you find it! Make all the ice you require to keep your customers happy with an ice machine. Get the storage you need to keep your food fresh with a quality walk-in cooler. Make delicious food your customers will love with a new fryer, or a new grill, and make the air quality fresher with an exhaust hood that keeps up with it all. Modern Equipment Company offers free layout and design services to our customers. The go to you prior to your restaurant redesign or new construction. After consulting with you and taking measurements, they provide a cost estimate for you. Update your new restaurant or store when they work directly with the architect to design the perfect kitchen. They ensure the kitchen works for you to provide a proper cooking flow. In addition, they also take space into consideration, leaving you enough room to work together in the kitchen. Bought in 1972 by O. D. Warren, Moore Equipment of Dothan expanded from ice machines and ice cream makers to restaurant smallware supplies. Eventually, James Warren took over and incorporated the company under Moore-Warren Equipment Company in 1991. At Moore-Warren, their mission is to be a familiar and trusted light in the midst of a sea of suppliers who may or may not have your best interest at heart. They're a family-owned business who have served the food service industry both inside and far outside their hometown of Dothan, Alabama. They're committed not only to serving their customers, but also committed to sailing with them through the sometimes frightening waters of food service with confidence and quality. If you're on your first adventure in food service, or if you've been in it for years, you can rest assured Moore-Warren will offer you quality, dedication and the best service you can find. They sell food service equipment and supplies to the public, as well as many private and government entities. Emerging from 35 years of success in the Food, Beverage and Hospitality industry, Mr. V continues his trailblazing format of creating excitement and satisfaction by extending his prowess by founding and overseeing Mr. V's Restaurant Equipment & Store Fixtures. Coming up on celebrating the 15 year anniversary, Mr. V has decided to explode online with a new website that presents a wealth of information, amazing deals, prizes and customer appreciation reward incentive that is so outrageous the competition is quivering. Muckenthaler Incorporated is a family owned food service equipment dealer in Emporia, KS. MI has been serving the food service industry since 1970, and before that they were the equipment division of the Emporia Wholesale Coffee Company, a company founded in 1912. When the equipment company was formed in 1970, it was moved to the Commercial Street location, the former location of Emporia Wholesale Coffee Company. The two corporations work together to serve their customer base and offer the concept of a full service house, while maintaining their individual identities. MI has a branch location in Topeka, KS with a full display room of stocking merchandise. NEMCO innovates countertop foodservice equipment solutions that bring your signature menu ideas to life, maximize your operation efficiency, and boost your sales and profits! You'll find more than 100 examples right here on this site. But if you're still looking for something else, call them. Their engineers thrive on new challenges. Everything you need to build your brand: a myriad of quality equipment choices, bend-over-backward support, custom merchandising, trouble-free performance and responsive service; things only NEMCO can promise you. NHRE is rapidly becoming known as the "option house". Having the ability to mix new and used equipment to meet all budgets. Stop in to visit them and you will experience for yourself the cleanliness and organization, offering modern equipment and technology with old school service and commitment. You will then realize, the difference is pride! The emphasis of their store is on providing the small and medium restaurant owners of New Hampshire and the surrounding states with the very best in new and refurbished equipment! For 35 years the NSB Restaurant Supply Company has loyally served clients large and small, from pizzerias and grocery stores to hospitals and retirement homes. they’re still owned and operated by their founder. And although they’ve got the mentality of a local business, they are relaunching their online store to take NSB nationwide. They are proud to be the most up-to-date culinary equipment store on the web – not to mention their perfectly-tailored selection and even more perfect prices. From professional kitchen equipment, to tandoors, to aprons, wooden spoons, and more, they are excited to help you find exactly what you want and maybe even a few things you did not know you needed! NWA Restaurant Equipment & Supply has all of the commercial kitchen supplies and new and used restaurant equipment for your foodservice needs. They offer fast and friendly service for catering supply, concession supply, bar supply, convenience supply, and restaurant supply. To ensure your success, they carry the top restaurant equipment available in Northwest Arkansas, and have efficient kitchen equipment, such as Manitowoc ice machines that use less water. If you are looking for heavy duty cooking equipment or discount kitchen supplies, they sell the cooking equipment that is made to last, at a reasonable price. They have expert technicians on staff to service your new or used restaurant equipment. For all your kitchen and restaurant equipment parts and repairs needed, rely on NWA Restaurant Equipment & Supply. 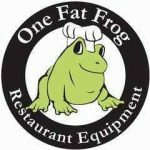 One Fat Frog Restaurant Equipment has quickly made a name for high quality new & used restaurant equipment, food truck build outs & equipment packages. Founded in 1980, Maui Restaurant Supply has grown from a small, two person operation to the neighbor island's largest full-service foodservice dealer. Their clients range from California to Saipan. The Contract and Design Department is widely recognized as the finest in the state, and has been responsible for the design and/or installation of over 100 projects including healthcare facilities, schools, hotels, independent restaurants, and fast food outlets. There are full time outside sales consultants, supported by an inside sales coordinator to service and solve problems for over 1000 active clients throughout Hawaii and the central Pacific. They carry in excess of 2000 SKU's in stock at all times and more are added weekly. Since 1995, they have been a member of PRIDE Marketing and Procurement, a buying group affiliation with 190 foodservice dealers throughout the country, resulting in considerable purchasing clout and extra factory discounts, which helps us keep our competitive edge. People's Restaurant Equipment Company is the Oldest and most knowledgeable Restaurant Equipment dealer in Michigan. They have been in Business for over 92 years and are best known for their great customer service and knowledgeable staff. You the customer will always come first at People's Restaurant Equipment. Established in 1986, Pitman Restaurant Equipment’s family-owned business has grown to one of the largest locally-owned restaurant equipment suppliers in the Northwest. Our large catalog features everything a restaurant needs: from smallwares like pots, pans, dishes and utensils to large equipment like walk-in coolers, hoods, refrigeration, and more. We offer leading commercial kitchen manufacturers from Cecilware, Garland, Vulcan, Hobart, Eagle, Frymaster, and more. Prima Supply belongs to a line of family owned and operated businesses which has led the foodservice industry since 1947. They utilize well negotiated buying positions to deliver the best prices and fastest shipping. Their goal is your satisfaction, and we achieve this goal by offering unbeatable prices, quick order fulfillment, and LIVE knowledgeable service agents. At a time when live customer service is becoming a thing of the past their belief is that they can best serve their customers through maintaining a live, knowledgeable, and trained support team. Their companies have enjoyed three generations of success by focusing on their customers needs and priorities, and their employees training and job satisfaction. Whether you interact with them as a customer or a potential employee, they believe that commitment to people is their greatest asset. Their distinctives don't just stop with their staff, they also have the infrastructure in place to back it up. They have multiple warehouses with hundreds of thousands of square feet packed with the equipment you are looking for. In 1983, a pizza operator by the name of John Lamonica had an idea that would revolutionize the pizza industry. A heat transfer press manufactured by their development division, "Stearns Product Development," was used to press the first dough ball. After many modifications, the first air driven dough press was developed and the rest is ProLuxe™ history. Throughout the years, innovation and service have been the cornerstones of their success. From pizza presses to tortilla presses, from Panini grills to the exciting new ProLuxe™ Bun Caramelizer, they have developed quality restaurant equipment featuring varying technologies. Their signature product, DoughPro™ has become synonymous throughout the industry food preparation across the globe. Their product line has increased to now include the designer-inspired TerraLuxe™ stone hearth oven. Fully customizable to meet your unique design needs, they can create your dream oven that not only creates the show, but also functions with your kitchen design. Refrigeration and Food Equipment is a restaurant equipment and supply specialist in the Greater Anchorage area. If you need top quality equipment for your restaurant, we can help to make your business shine. At Refrigeration and Food Equipment, wtheyhave all the most current models and amenities to make your restaurant run with style and efficiency. When it comes to restaurant standards in Anchorage, the standard is pretty high, that’s why Refrigeration and Food Equipment offers great restaurant equipment to uphold the standard of your business. Contact us in Anchorage, AKfor commercial appliance servicesthat will take your restaurant to the next level. REM provides one of the southeast's largest selections of Value-Priced, restaurant furniture, smallwares and equipment to customers throughout Atlanta and the US. Restaurant Equipment Market imports direct and maintains huge equipment and furniture inventories in order to deliver the Best Quality at the Best Prices for 20 years! Restaurant Equipment Unlimited, located in Honolulu, Hawaii, is a customer service-driven company whose staff is knowledgeable and ready to serve you with honesty, high quality products and great service. They have a wide selection of quality new and reconditioned commercial cooking, refrigeration, freezing, baking and catering equipment as well as restaurant furniture. Whether you are starting a new food service establishment or just upgrading some aging equipment, they can help. All equipment is tested by their in-house technician to verify that they are in working condition. Restaurant Equipment World is honored to serve more than 100,000 customers in all 50 states and more than 110 countries around the world. REW has been a leader in the restaurant equipment industry for over 35 years. This success has not been achieved by accident, their focus on their customer's needs is their number one priority, and if their customers prosper, so do they. Restaurant Equipment World was founded in 1976 by Jerry Pierce (Chairman) and is a trade name of Pierce Sales Co., Inc. The company's worldwide headquarters is located in Orlando, Florida with an international office in Dubai, United Arab Emirates (UAE). REW is a family owned business. Despite its massive reach and growth, the organization is still family operated. The President of the organization is Brad Pierce who is the son of the founder. The Vice-President of the organization is Patty Nuzzo who is the daughter of the founder. Other family members also work in the business including Dedicated Accounts Manager Linda Pierce and Business Development Manager Barbie Boyd. Six grandchildren of the founder also work in the family business. The Restaurant Source was started in 1951, we are a privately held company based in Denver, Colorado.Their primary business is designing, selling and installing food service supplies and equipment. Their current customers are commercial food service operations such as hotels, restaurants, chains and institutions. The Restaurant Source website was launched to give their customers the ability to shop on line at their own time and pace. The Restaurant Source chooses to carry only the best quality products for your satisfaction. Please be advised that our commercial grade products are designed for their utility and not necessarily the cosmetic or aesthetic appeal you would expect for residential use, and therefore, these products may not meet your expectations and may not be appropriate for use in your home. RestaurantSupply.com is your online destination for commercial kitchen equipment and foodservice supplies. We are dedicated to making your online purchase easy and informative, so that you can be confident that you have made a wise investment in your foodservice business.Foodservice professionals with years of experience in restaurant kitchens and equipment sales are a simple phone call or online chat away. There is no need to be overwhelmed when asking a question will get you the answer that will put your mind at ease. Talk to a trustworthy Restaurant Supply.com team member who knows the equipment or products, how they work, and how they might suit your foodservice application. Don't hesitate to contact us - we are here to help you find the right products to make your foodservice business successful.We carry all major brands of restaurant equipment and supplies, from commercial refrigeration and restaurant ranges to the hot dog roller grills and conveyor toasters; from the bun pan racks, pizza peels, and bussing tubs down to the food pans, serving bowls and spatulas. If you need quality commercial equipment, kitchen tools or supplies for your foodservice operation, you will find that we carry it or can help you get it, from the biggest and most trusted names in the foodservice industry and at the best prices. REW Equipment is a no-frills supplier for bulk paper products, dishes, appliances, electronic signage & more. Southbend, a division of the Middleby Corporation, is recognized as a global leader in heavy-duty, commercial cooking equipment. With perpetual new equipment innovations in the areas of energy savings, cooking speed, automation and safety, Southbend products are considered the best in the industry by chefs, consultants and industry experts. The restaurant industry is huge! There are over 925,000 restaurants in the United States, employing over 13 million people!1 There is very little room for error in this business. If you don't get it right the first time, you may not be able to get back on top. There is a reason that there are some restaurants that make it, and some that crash and burn. The competition is very fierce. In fact, 61% of all restaurants fail in the first 3 years of operation! The issue is that there are so many restaurants out in the world today that are serving the same types of food. Not to mention chain restaurants! Competition is rough! With penny pinching profit margins and breathtaking budges, this really is a tough business. Things like increasing food costs, labor costs, energy and utility costs are making things very tough for restaurant owners in today restaurant industry. For example, did you know that since 2009, food costs have gone up 30%? Food cost is typically 28-35% of restaurants sales. Labor cost in restaurants is typically 22-35% of sales. Everyday these people are costing you money because of these things: Waste, Damage, Theft, Cleanliness, and Injury! You have a lot of expenses being in this industry. Make sure you have selected partners that are going to help you solve some of these issues and ensure that you are getting everything you need in the best way possible! Standard Restaurant Supply is that partner! They are happy to be a part of your team to help take some of the weight off of your shoulders. Your success is their success. They are serving the finest people in the world... Their customers. Standard Restaurant Supply Denver features over 100,000 square feet of showroom floor for your convenience. Stocking everything you need to successfully run your restaurant, kitchen, bar, bakery, or whatever it is that you do! Standard makes it easy for you to shop their gigantic store with customer service reps constantly walking the floor, available for questioning and service. There is no need for a membership card or fee, because they simply don’t have them. Customers are free to shop in their store, regardless of where they work or what they do because Standard Restaurant Supply is open to the public! They have thousands of restaurant supplies in stock, to help you or your restaurant when you are in a bind, those items that you just need to have that day, or right away. Their stocked items are conveniently placed into categories on their show floor to help you find them easier! Here are some of the categories they stock everyday: cookware, baking supplies, bakery supplies, cake decorating supplies, pizza supplies, Mexican restaurant supplies, Asian restaurant supplies, table top supplies, beverage supplies, bar supplies, janitorial supplies, textiles & chef wear, china, glassware, disposable, restaurant equipment, used restaurant equipment and more! Standex International is a diversified manufacturing company with operations in five product segments. We are market leaders in Food Service Equipment, Engineering Technologies, Engraving, Electronics and Hydraulics. Standex’s corporate philosophy ensures that we look at our business the same way our shareholders do - from the perspective of creating value. Their showroom features a wide selection of new equipment, furnishings, smallwares and supplies, plus their popular USED equipment section. Merchandise in our showroom is geared towards their commercial customers, but the general public is also welcome. State Restaurant Equipment Company is a proud member of SEFA, Inc., a nationwide network of premier foodservice equipment and supply specialists. SEFA links manufacturers and dealers together to provide you with knowledgeable salespeople, quality products and competitive pricing. They are built on the concept that their personnel is best trained in the industry. Their sales staff can assist you when placing your order by phone and in person. If you should decide to visit their showroom and warehouse facility, they welcome you. Let them put their proven reputation for quality, service and value to work for you. Whether you're remodeling or opening a new facility, State Restaurant Equipment Company is your link to success. Website Address: State Restaurant Equipment Co.
olutions To Your Food Service Equipment or Serious Home Cooking Needs Start Right Here In Vermont. We Are Dedicated To Local Businesses. 1,000’s of Items in Stock Full lines of Small Wares and Equipment. We bring incredible Nationally Competitive Prices on Reputable Brands locally, while stiving to build great relationships. Steiger Supply has been operating in Rutland, Vermont since 1985. Our track record for upfront fairness, incredible prices, and personable service has been proven. We have grown by helping customers Succeed. Your Success is important to us! Since 1975, Superior Food Machinery, Inc. has played a strong role in bringing quality tortilla products to markets in the United States and throughout the world. Our success has been based on listening to the particular needs of the customers, both large and small, those who have been in the industry for many years as well as those who are just getting started. Superior Food Machinery, Inc. offers quality, practical, and cost effective machinery at a wide variety of production levels and capacities. foodservice equipment and merchandising programs that produce profitable products. Taylor Restaurant Equipment is a privately owned, specialty foodservice equipment distributor for Taylor, Henny Penny, Nieco and Flavor Burst. We also represent Nuova Simonelli and Manitowoc. Our national coverage, with reciprocal distributors throughout North America, allows us to successfully service our customers and their programs. Traulsen has long been known as the premier name in refrigeration for the foodservice market. That reputation is grounded in a long history of delivering products designed and built to the highest possible standards of performance, quality and durability in the industry—standards for innovation and value set by our founder, Harry Traulsen. Traulsen began Traulsen & Company in Queens, New York, in 1938 as a producer of bakery fixtures, with a small product line that included refrigerated showcases. Commercial refrigeration soon became the primary focus of the small company. It was World War II that established Traulsen’s reputation for innovation, as the company led the way in manufacturing portable refrigerated boxes to preserved food under combat conditions where electricity was not always available. When the company returned to the commercial refrigeration business after the war, Traulsen set down the design and manufacturing standards that we follow to this day: Build the highest quality products in the industry. Use the most rugged, metal materials. Build to stringent, self-imposed specifications. Develop advanced refrigeration technologies. And bring customers the long-term savings and value that comes from a long, efficient product life. Then and now, Traulsen value comes from understanding just how rough the environments are in which our products work, and how much our customers use and depend on our products. That’s why rugged, all metal construction is at the heart of all of Traulsen’s products, with hinges, seals and handles built to withstand constant use, all day, every day, year after year. It’s why we’ve developed so many advanced refrigeration technologies, providing unequalled innovations in airflow, cooling defrosting, energy efficiency and ergonomics. Yet with every innovation, we find new ways to make our equipment easier and simpler to operate. Over the years, Traulsen has constantly expanded the range of top-of-the-line refrigeration for the worldwide food equipment market, with refrigeration offerings that include reach-ins, roll-ins, undercounters, blast chillers, prep tables, dual temperature units, heated cabinets, merchandisers and specialty applications drawn from customer requests, many of which become part of our mainstream product line. It’s all based on a corporate philosophy that it takes quality to make quality—and quality creates value for the long run. Conveniently located in Midtown Atlanta, Georgia, just off I-75, Trendco-Vick has been in business since 1977. Other locations that are ready to serve you in Cincinnati, West Palm Beach, and our South American branch in Venezuela. Trendco-Vick Wholesale is the Southeast division of Trendco Supply Inc., head-quartered in Cincinnati, Ohio. Trendco supplies the restaurant hospitality and also super-market industry both nationally and internationally. Their mission: Is to provide the best value in new and used equipment, smallwares and custom stainless steel fabrication with the highest quality of customer service, to the greater Atlanta hospitality industry and the surrounding southeastern states. Their design team can provide complete kitchen layout and design services . With all of these resources under one roof, they offer their customers the most complete and convenient one stop source for all their commercial kitchen needs south of the Mason Dixon. Since 1934, Tri City has been your source for restaurant equipment value: quality, very competitive prices, and full service. Your restaurant equipment choices include: kitchen cookware, foodservice smallwares, cooking equipment, refrigeration, kitchen utensils, tableware, china, glassware, flatware, and holloware. All restaurant equipment and kitchen equipment sales are guaranteed. Their foodservice customers include hotels, schools, independent restaurants, chain restaurants, and bars. The home chef is always welcome! For over 69 years, Tri City has been a full service restaurant equipment dealer. Services include: design and layout, restaurant equipment specification, coordination with contractor and architect, leasing and financing (with approved credit), guaranteed sales (including 30 days labor, 90 day parts), service, parts for restaurant equipment, and very experienced personnel to assist you with your restaurant equipment needs. This Montana family-owned and operated business began in 2000 with a dream of bringing quality products and superior customer service together. Our team prides ourselves on being the experts in Specialty Beverage equipment and supplies! Our company headquarters are in Kalispell, MT with offices in Billings, Bozeman and Great Falls! Our multiple locations, and expanding team of experts allow us to bring the best the market has to offer, to every café, restaurant or beverage connoisseur, not only in Montana, but also now in Wyoming and North Dakota. TriMark is the Largest Provider of Restaurant Equipment, Supplies & Design Services in the Country. Delivering quality foodservice supplies and restaurant equipment throughout the United States, TriMark can lead you through all stages of any kitchen project. From furniture, to our vast collection of dinnerware, build your foodservice business with the finest equipment to help you achieve better results and reach your goals. For 70 years, True has remained steadfast in our mission "To provide a wide range of American-made commercial refrigeration products that exceed industry quality standards at competitive prices." Throughout the years, True has maintained a business strategy focused on innovation and capital investment in updated facilities and state-of-the-art technologies. True purchases only the best materials based on the application for our products without compromise for price. As a result, our products are known for their outstanding longevity, dependability and value. As a privately owned business, True has the unique ability to adjust swiftly and decisively to market trends, employ new strategies for meeting our customers’ needs, and address the increasing demands for social responsibility in the manufacturing process. True has expounded upon an expansive program, implemented in the mid 1990s, to reduce our carbon footprint and minimize the environmental impact of our products and operations. United Restaurant Equipment Company (URECO) is a family-owned business and a leader in the restaurant equipment and supply industry since 1952. URECO is a full-service dealership which specializes in designing, supplying, delivering, and installing commercial kitchens and dining facilities. Whether you are a school, restaurant, nightclub, hotel or non-profit institution, you will find that URECO employees are committed to customer satisfaction and can accommodate your needs from the smallest requests to the largest projects. We take pride in making sure that our manufacturers are reputable so that we can offer you the highest-quality products in the marketplace. Established in 1983, Valley Restaurant Equipment uses a simple formula for success... honesty, trust and a desire to have satisfied customers who consistently come back. They pride themselves on effective communication and providing the information you need to make the right decision for you or your business. Your comfort zone related to the equipment prices, aesthetics, operations and their guarantee mean a lot to them. That's why they don't ever pressure you into buying anything. They'll show you what they have available, answer any questions, offer a fair price and in most cases deliver your new purchase directly to your restaurant or kitchen! They are always buying used equipment and are always open to trades, in store credit and consignments. If needed they can also assist you with appraisals and auction services of your existing equipment or entire restaurant. Thirty years in the beautiful city of Eugene and service throughout Oregon and to Washington, Idaho and California has introduced us to some wonderful people who, along with being customers, have become close friends. Masterful design. Precision performance. State-of-the-art innovation. For 150 years, Vulcan has been recognized by chefs and operators throughout the world as best-in-class supplier for its top-quality, energy efficient food service equipment solutions that consistently produces spectacular results. Trust Vulcan's professional restaurant equipment to help make your culinary creations turn out just right—each and every time. Physical Address: 3600 North Point Blvd. At Warehouse Restaurant Supply, you can shop over 100,000 square feet of restaurant equipment and supplies. We have the largest inventory of restaurant equipment in New England and also utilize our large warehouse to offer special deals on thousands of one-of-a-kind units, including scratch-and-dents, factory demos, factory refurbished, and discontinued models. The Warehouse has been serving Connecticut since we originally opened in Waterbury almost a century ago. Their customers include chain and independent restaurants, schools, hospitals, prisons, corporations, food trucks, breweries, home chefs, and more. They are open to the public with no membership required to walk through their showroom or place an order. WM Restaurant Equipment was founded by Richard Wagner and William Mahaffey in 1980. In 1982, WM Restaurant Equipment purchased G & B Commercial Repair. William Rotureau joined the partnership. William Mahaffey sold his shares leaving Richard Wagner majority shareholder. In the 1990's, William Rotureau sold his shares to Richard Wagner, making Richard Wagner sole owner of the company. Richard, then, changed the company name from WM Restaurant Equipment to WW Restaurant Equipment, Inc. Sadly, in May 2004, Richard Wagner passed away leaving ownership to Delores Wagner, wife and long-time employee of WM Restaurant Equipment. In 2008, Delores retired, turning over ownership to her son and long-time employee, Bradley Wagner. Brad Wagner is currently the owner-operator of the company. Lisa, Brad's wife, accepts repair work orders and manages the office. Wolverine Restaurant Equipment, Inc. is proudly serving Michigan businesses with over 30 years experience in providing New and Used Restaurant and Refrigeration Equipment. They sell, buy, install, repair and provide accessories / parts for various types of commercial cooking and refrigeration equipment such as Ovens, Steamers, Fryers, Slicers, Mixers, Stoves, Coolers, Freezers, Display Cases & more. Wolverine Restaurant Equipment is a single source provider to companies in the food service industry. We service restaurants, supermarkets, hospitals, senior living facilities, schools, churches, hotels, banquet facilities and many others. Our name is synonymous with first-rate products and service. What makes them different from other companies in their industry? Good old fashion customer service. When you contact them you will be connected with an equipment specialist who will help you find the equipment that best fits your needs.